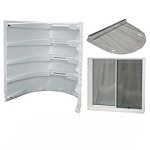 Notes: FREE Shipping offer is only available on the 5 section kit. 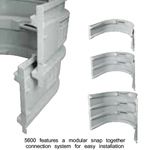 The 5600 Modular Escape Windows Kit offers an all-in-one solution to help you meet IRC 2009 requirements for finished basements. 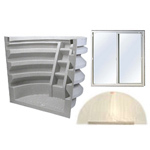 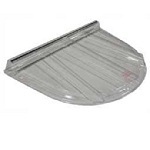 This complete kit includes a sliding vinyl window, window well and well cover. 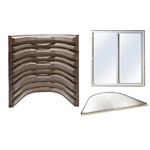 The well's versatile modular design makes it easy to assemble and accommodate your space needs. 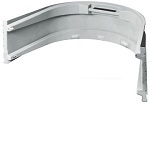 Simple snap-together sections allow you customize the height to suit your specific size requirements. 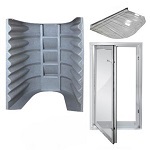 Weighing only 24 lbs, each section is incredibly easy to transport and install. 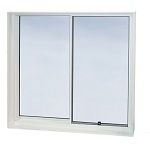 Complying with IRC 2009 for basement escape windows has never been simpler. 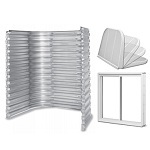 Width: 61 inches at the widest point of the wall attachment Height, up to 5 sections: 1 section, 20 7/8 inches 2 sections, 34 7/8 inches 3 sections, 48 7/8 inches 4 sections 62 7/8 inches 5 sections 76 7/8 inches Depth: 37.5 from exterior wall to stepladder Square Footage: 12.49 square feet.